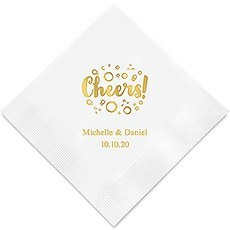 Pop the bubbly, there is a newly engaged couple to celebrate! 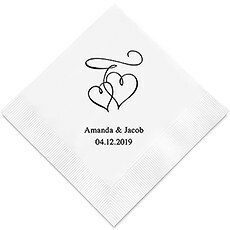 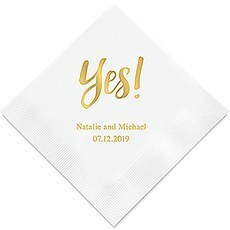 Whether you are hosting a formal engagement party complete with fancy invitations and catered food or are having an impromptu evening with just the girls, make the gathering all that more special with our festive Personalized Engagement Party Napkins. 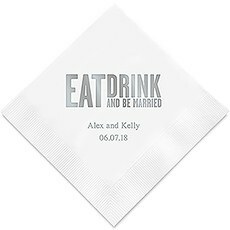 From sipping cocktails to enjoying hors d'oeuvres, napkins are always a must. 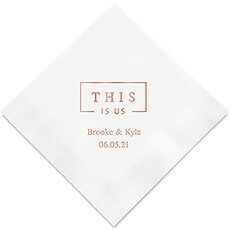 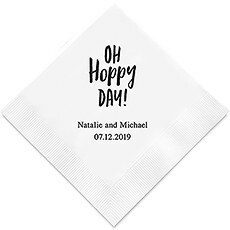 Rather than putting out plain, white paper napkins, why not inject some charm by using our personalized napkins instead? 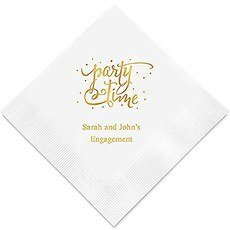 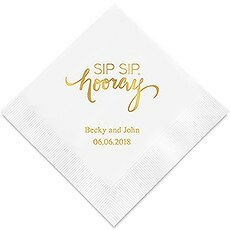 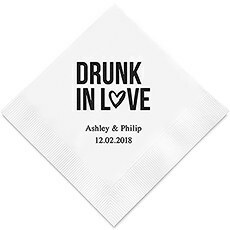 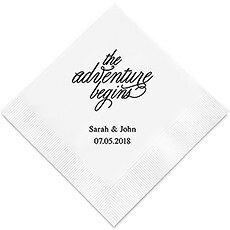 With so many options at such an affordable price, we make it easy to do so!We put you in the designer's seat by letting your select the type of napkin (cocktail, luncheon or dinner) colour, inscription colour, engagement-themed logo or fun saying. 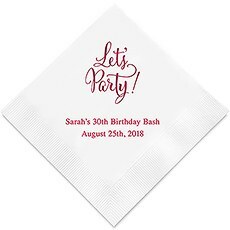 Our goal is simple: to give you plenty of stylish, colourful and affordable options, and we can proudly say that we consistently meet that goal. 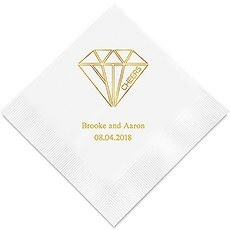 Choose from an assortment of neutral to jewel tone napkin colours, over one dozen metallic imprint colours and dozens and dozens of sayings and icons. 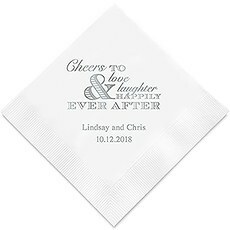 Capture the theme or mood of the party with such happy sayings as: "Let the Sparks Fly," "The Adventure Begins" and "Cheers to Love, Laughter & Happily Ever After." 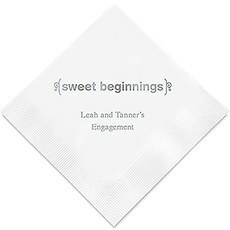 Are you feeling creative or are quite the wordsmith? 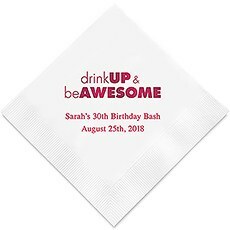 Come up with your own unique saying or clever phrase. 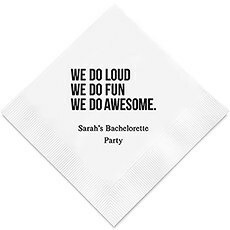 We give you ample character space to play with so you can get creative and have some fun. Do you like to keep things simple and classic? 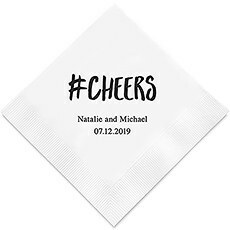 Go with one of our timeless napkins with the word "Celebrate" or "Cheers. "Our competitively-priced cocktail, luncheon and dinner napkins allow you to add a memorable touch to your festivities without it costing you a fortune. 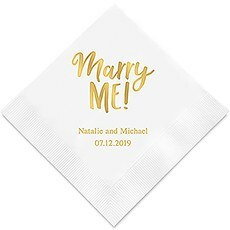 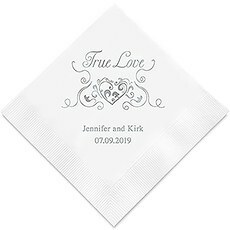 If you are searching for a small detail that will make a big difference at your engagement party, our napkins deliver.